Photo by Reilly Kneedler and Reilly Kneedler | The State Press ASU graduate social justice major Petrit Gashi introduces speakers during a west campus event called "Global Refugee Crisis: A Community and Student Forum on Refugees" on Thursday, March 16, 2017. Refugees, immigrants and crisis response advocates were able to share their stories on Thursday during a panel at ASU West campus. The panel focused on the state of the global refugee crisis, and how the U.S. administration is handling this issue. The event, “Global Refugee Crisis: A Community and Student Forum on Refugees,” was hosted by Petrit Gashi, a graduate social justice major who came to the U.S. as a refugee from Kosovo in 1999. 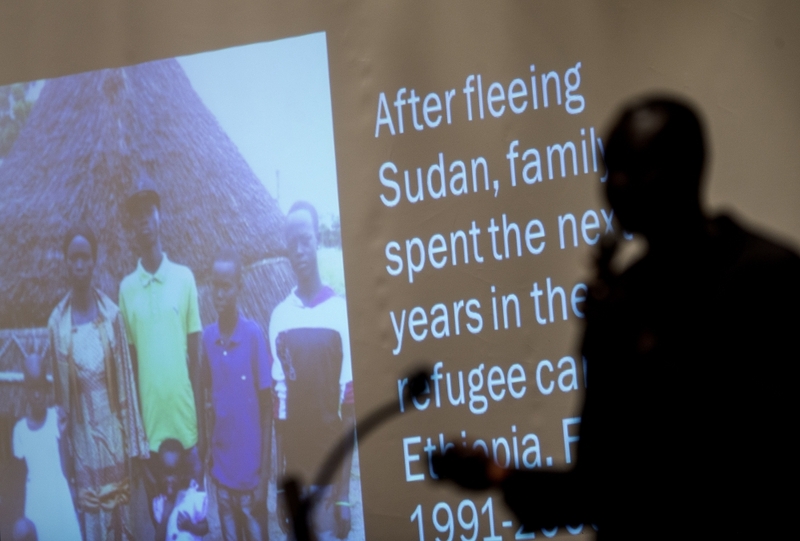 The forum featured seven speakers who gave presentations about actual immigrant and refugee experiences, the recent U.S. executive orders on immigration and ways to get involved with pro-refugee efforts. The speakers’ stories were told in light of the two recent travel bans ordered by President Donald Trump. The first travel ban, initiated in late January, called for the closing of U.S. borders to travelers from seven Muslim-majority countries. It was then struck down by the 9th U.S. Circuit Court of Appeals. The second ban — which narrowed the scope of the order to six Muslim-majority countries — was also put on hold this week by a federal judges in Hawaii and Maryland. Jessalynne Howard, a volunteer outreach coordinator with the International Rescue Committee in Phoenix — which works to provide relief and advocacy for refugees — said the recent travel bans have effected the morale among workers at the IRC. Howard said one of the main concerns from the IRC regarding refugees who have already resettled is the expiration date on their documents. She said under the new administration there’s a lot of uncertainty as to whether settled refugees might have to go through the vetting process again. Honore Callingham, a Training and Interpretation Services coordinator for Refugee Focus, gave a presentation about what a refugee is, the refugee vetting process and the number of refugees taken in around the world. Callingham said the refugee crisis is worsening, and that 70 percent of refugees live at least 10 years in camps, 80 percent of refugees are women and children and there are around 21.3 million refugees worldwide. Dr. Julie Erfani, an associate professor at the New College of Interdisciplinary Arts and Sciences at ASU, displayed a video where she said she took interns with her to Lesbos to work with resettlement agencies to provide relief to refugees. Abdul Manfoukh, the president and CEO of U.S. United at ASU — an organization dedicated to integrating refugees into life in the US — said his father’s story of fleeing his country during a time of war closely mirrors what is happening to many of the refugees today. “The moment you actually meet a refugee is the moment when you actually learn what they’re going through,” he said. Manfoukh said the students who attended the event clearly know that there is a problem concerning how refugees are treated, so swift action and advocacy should be the next step in solving the problem. Bandak Lul, a graduate social justice major, said he and his family fled Sudan because of a civil war. He spent 17 years in a refugee camp in Ethiopia from 1991 to 2009, where he said food was scarce and would arrive to the camp in shipments every 30 days. 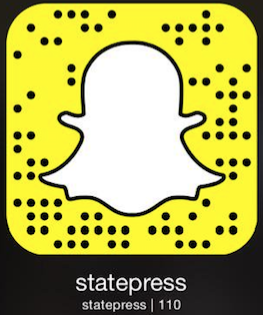 Reach the reporter at Angel.N.Mendoza@asu.edu or follow @niceledes on Twitter.